I never thought I would find myself defending Rick Perry, but I have to agree with a recent column by Steve Chapman who said Perry’s mandate that all teen girls in Texas get the HPV vaccine was the right call. Michelle Bachmann, and others, have taken Perry to task saying that making the vaccine mandatory was wrong. Chapman, who is often a voice of reason when it comes to heated public debate that is more rant than true debate, points out that this is really no different than other vaccines that are mandated by law. Yes, it has that sexual connection since HPV is transmitted via sexual activity, and that is what Chapman thinks has stirred more of the controversy than necessary. To be effective, the vaccine has to be given before sexual activity begins, and, as we all know, that is starting at younger and younger ages. As many as 20 million people are thought to have an active HPV infection at any given time, and as many as 5.5 million new cases of genital HPV infection occur in the United States each year. Most men and women — about 80 percent of sexually active people — are infected with HPV at some point in their lives, but most people never know they have the virus. It makes sense to have protection when protection is so readily available. Just to show that the government does get it right sometimes, in a recent session of Congress members of both parties approved legislation to help states get charter schools up and running. Part of the legislation provides access to federal funding for planning and establishing the schools. Good for us, and good for the young people who will benefit. I usually end on a positive and upbeat note, but this will be an exception. 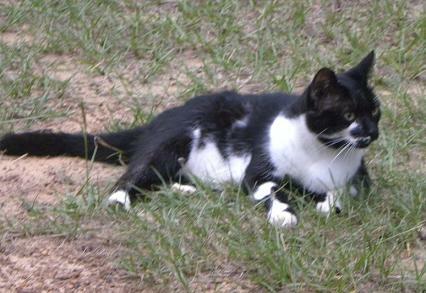 It has now been a week since two of our cats disappeared, and we doubt that either will come back. Many of my readers have been introduced to John and Orca through previous blog posts and enjoyed their stories. Out here in the country the life-span of a cat can be very short, but we had managed to have these two longer than most of our other cats. They are missed. I disagree with you about the Gardasil vaccine. There have been over 30 deaths from the vaccine and tens of thousands of adverse events and debilitating side effects from it. Plus, Gardasil does not protect against all strains of HPV, only a few (and it is among those other non-prevented strains that carry the risk of cervical cancer). Who wants to play those odds with their precious daughter? I absolutely would not. Thanks for presenting the other side, Beth. I appreciate it and hope my readers will take the time to check out the video. I tried this morning to find some printed sources for opposing viewpoints, but was not able to with a quick Google search. Just shows that some folks don’t want this information widely spread. there is some updated information from the Centers for Disease Control at: http://www.cdc.gov/vaccinesafety/Vaccines/HPV/gardasil.html. They report 68 deaths from the vaccine (out of 30+ million doses). As the parent of 2 girls, I’m still concerned about the overall safety of the vaccine. My biggest complaint with Perry, though, was this came to pass mostly b/c one of his advisors was a Merck lobbyist. I have serious doubts that Perry had any altruistic motives. My sister-in-law lives in a rural area. One cat went missing and then another followed a week or so later. One never returned, but the other did several weeks later. He was beat up pretty bad, but after a visit to the vet and a lot of TLC he’s fine. So don’t give up just yet. Mike, I know there was nothing altruistic in Perry’s decision, and I didn’t mean to imply that the vaccine was safe. The point I had taken from Chapman’s column is that some people are saying it was wrong for Perry to mandate a vaccine, when that is no different from the mandate that kids get the measles vaccine. People can be against the vaccine for the safety issues, and I agree they are enough to make a person stop and think. Carol, thanks for the words of encouragement. We did have Orca disappear once for a week and he came back with a broken leg. I even blogged about him here when that happened. But the odds of that happening again are so slim.